son were here to dine & Alson & Arden Hall. There was sunshine today after several days of rain. “[I]t cleared of[f] to day pritty warm there was five inches of water fell in this storm + it raisd the water verry much”* was the upbeat report. The ponds were full. The clear weather meant that Evelina could fetch her daughter, Susan, who had been staying in Bridgewater with the Burrell family, under the care of Orinthia Foss. With Augusta Pool Gilmore in tow, Evelina rode out in the afternoon. Ten-year-old Susie had been gone a whole week; one imagines she was ready to return home. The women also stopped to see Rachel Gilmore Pool en route. Rachel was Evelina’s niece, and Augusta’s sister-in-law. In Washington, D. C. on this date, Congress approved the very first pre-stamped envelopes, also known as postal stationery envelopes (PSE’s). The Postmaster General was authorized to provide “suitable letter envelopes with such watermarks or other guards against counterfeits… with the addition of the value or denomination of the postage stamps so printed or impressed thereon…”** The following year, the first set of stamped envelopes became available. They were known as the 1853 Nesbitt issues, after the contractor who produced them. This was high technology at the time. 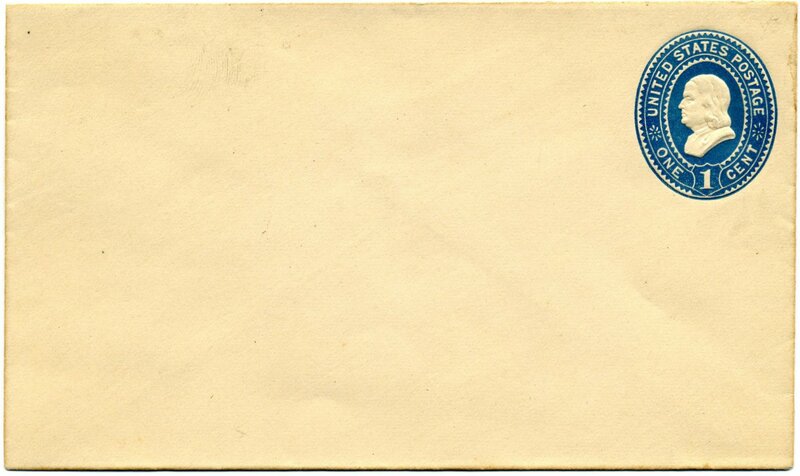 ** Wikipedia, “Postal Stationery,” accessed August 27, 2015. Augusta Pool Gilmore, mail, Mr. Burrell, Orinthia Foss, Rachel Gilmore Pool, sewing, Susan Eveline Ames, Washington D.C.
Spring was the season for choring, choring, choring. Until she went to sit and mend stockings with Sarah Witherell, Evelina worked around the house all day. The bad weather of the past several days continued. The Ameses kept a bed in their parlor. This seems strange to us, but it was customary at the time, or had been. The practice was waning, as bigger, Victorian houses became the style and the older Colonial and Federal floor plans were abandoned. Once upon a time, however, a downstairs parlor served multiple purposes. We know it as the spot in the house where more formal visitors were welcomed. In the 18th and into the 19th century, the parlor was also where the master and mistress of the house might sleep, while children went upstairs to colder quarters. As the family became more affluent and rooms got reconfigured, the bed in the parlor accommodated overnight guests. Several weeks back, in fact, inclement weather had forced William and Eliza Whitwell to stay over; they may have stayed in the very parlor that Evelina put “in pretty good order” today. Same with Evelina’s mother when she came to visit. Many Ameses celebrated their birthdays in the month of April. Today was another family birthday, that of John Ames 2d, the youngest son of Old Oliver and Susannah, who was born on this date in 1817. He was never in robust health, never married and succumbed to lung disease at age 27. Before his death, however, he served as the very first postmaster of North Easton, then a new outpost between two larger post offices elsewhere in Easton proper. According to historian William Chaffin, young John Ames’s “office” consisted of “a large box with a cover […] set upon a post” with “mail (at least newspapers and heavy mail)” that was “put into and taken from this box by the drivers of the passing mail-coaches.” This newest post office was needed for the increasing amount of mail coming in and out of the shovel factory. With his health too poor to work in the factory itself, at least John had a role in managing the post.